Haddington House networks with theological colleges in the majority world for library and textbook development through book distribution. Students delighted with books donated for their class. We also endeavour to promote student and staff journal reading in theological colleges in the majority world through library grant subscriptions to the Haddington House Journal. 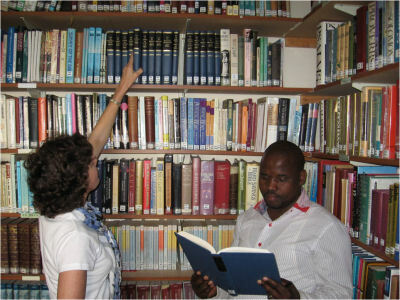 Such donations of books and journals have gone to Bible colleges in Africa, South America, and Asia. Boxes of books ready to mail.